Each year, Mother’s Day is a truly special occasion to celebrate the love and care we have received from our mothers and mother figures. You want to give her something she’ll love, but it can sometimes be tough to figure out just what to get her. What Goes Into Meaningful Mother’s Day Gifts? It can be difficult to determine what type of gift will make your mom happiest on Mother’s Day. However, there’s some evidence out there to help guide us. Last year, Groupon commissioned a survey centered around Mother’s Day gift-giving. The study found that moms enjoy being treated to an enjoyable experience on their special day, such as brunch or a show. But at the top of the list of most-desired wants was a “sentimental” gift, so it pays to put some thought into your gift! Different moms have different preferences, but personalized gifts offer one effective way to give her something powerful she’ll appreciate. Since giving a heartfelt gift is important, we have some ideas of meaningful Mother’s Day gifts here to show you! Whether they serve as the peacekeeper for bickering siblings or the one who juggles the long list of daily tasks with ease and grace, so many moms play the vital role of keeping everything together. Make sure she knows how much you appreciate her abilities. 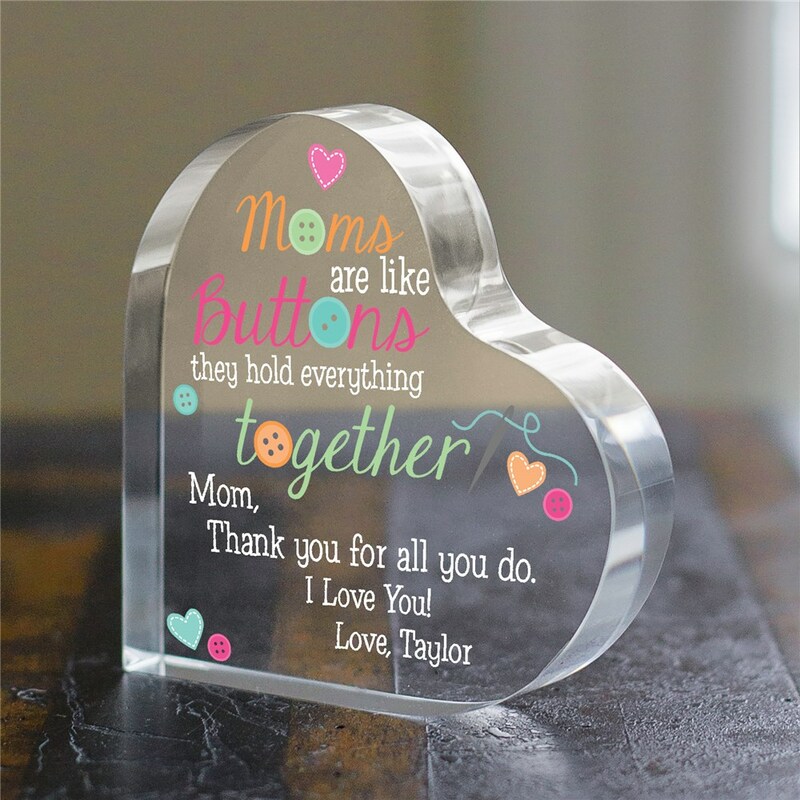 She can proudly display this heart-shaped acrylic keepsake and remember your sweet gift whenever she sees it. Give mom a comfortable blanket she can cuddle up on the couch with. 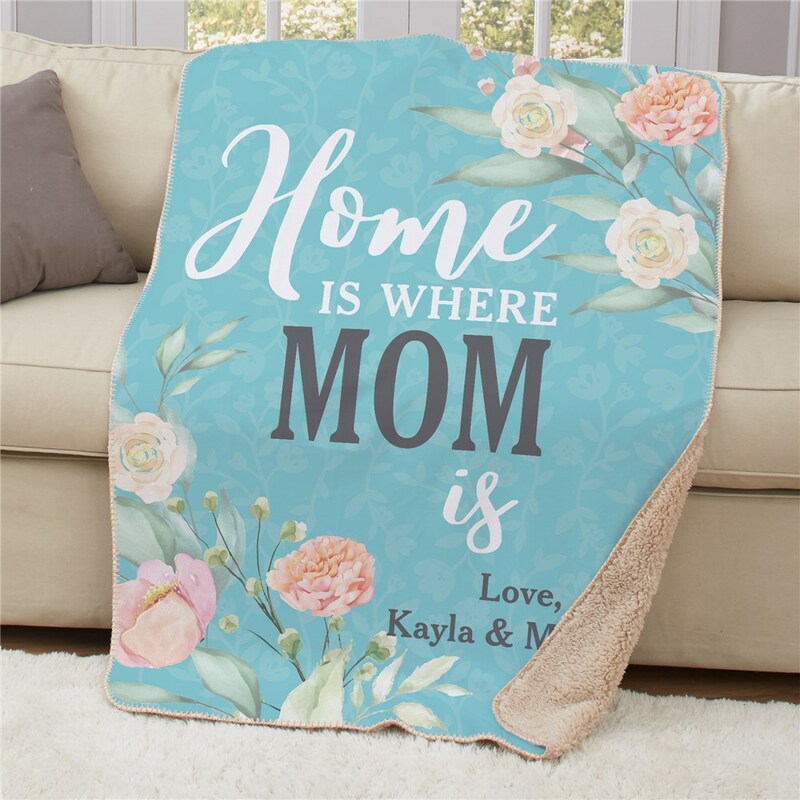 This sherpa features a beautiful floral pattern along with the names of who it’s from and the touching message of “Home is where Mom is.” The floral pattern is especially great for springtime! One of the greatest joys of motherhood is getting to be there every step of the way as one’s children grow up. Then the cycle can renew with those children having children of their own! This powerful gift for grandmas or great-grandmas allows them to celebrate the incredible blessings they get to spend time with. 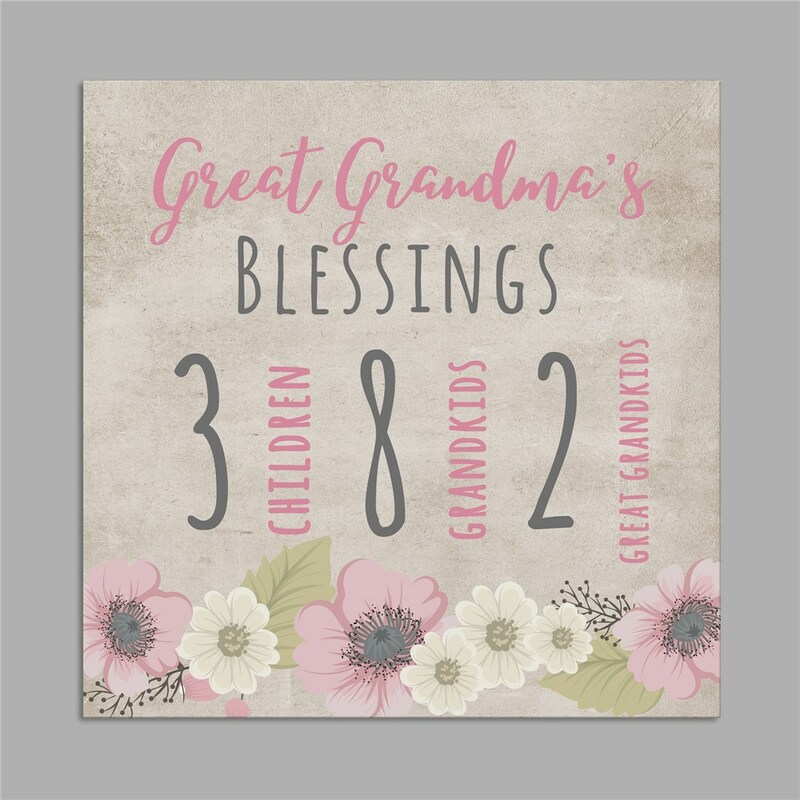 Personalize this canvas with the number of children, grandchildren, and/or great-grandchildren she has for a gift she can cherish. It may be difficult to communicate how much your mom means to you, but you can bet she’d appreciate you giving it a shot! 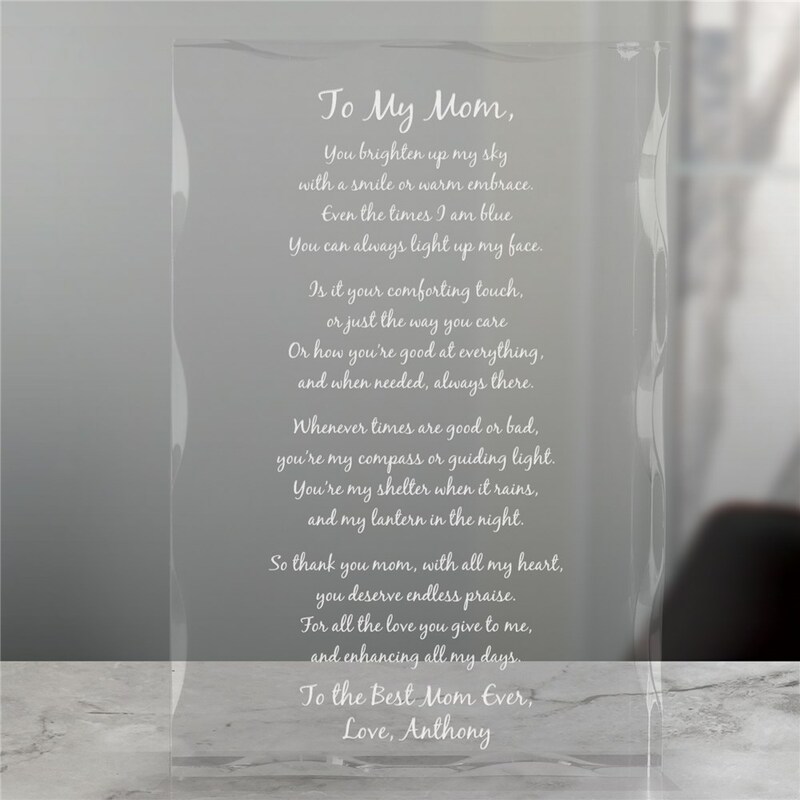 With this 4″ x 6″ acrylic keepsake, you can choose a default poem we offer or craft your own (using up to 1,200 characters) for an extra-special gift. This elegant keepsake makes a great tabletop decoration. 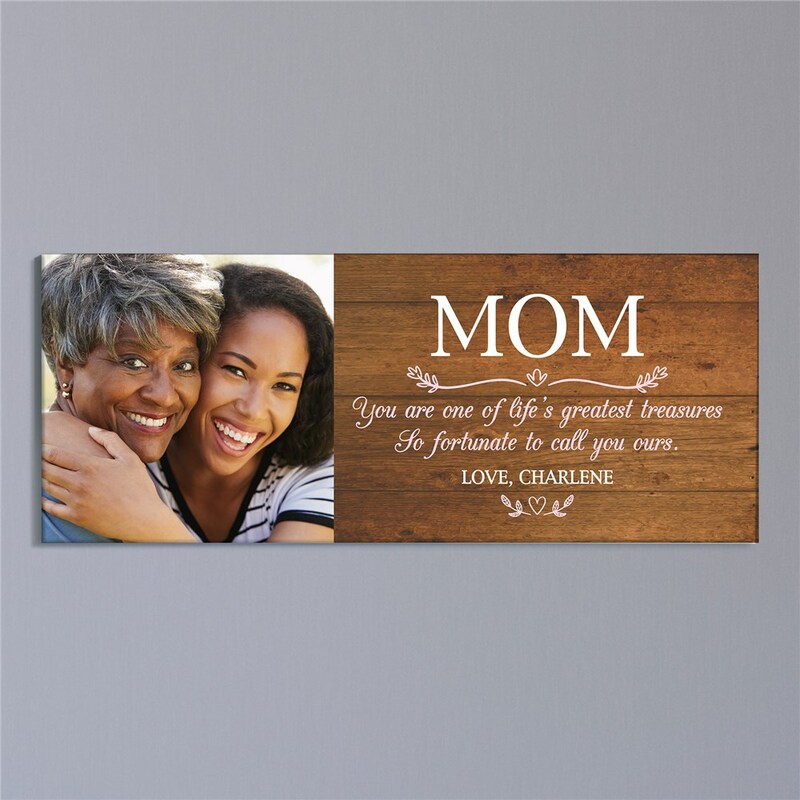 This 8″ x 20″ photo canvas is a powerful way to convey to your mom how much she means to you. Featuring gallery-wrapped edges and coming with hanging hardware, this canvas can be displayed with or without a frame. Select a great picture of the two of you together that she’ll love getting to look at every day! Loaded with delicious items both chocolatey and savory, this tower of goodies is sure to be appreciated by moms with a sweet tooth. Highlights include three types of chocolate truffles, caramel popcorn, chocolate-covered Oreos, and raspberry shortbread cookies. 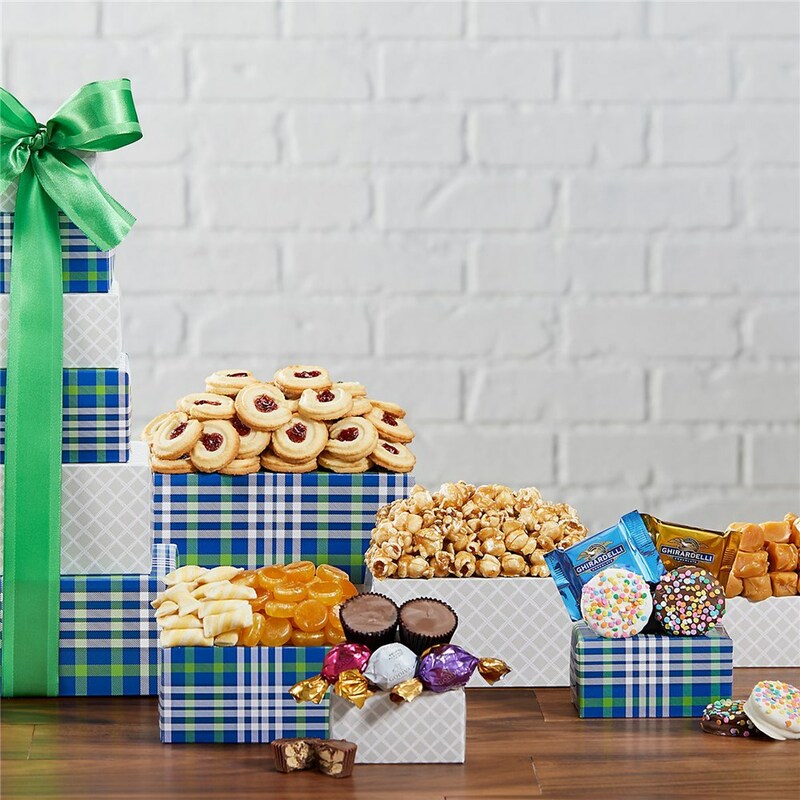 She’ll want to find a secret spot to stash these treats, because they’re bound to be popular around the house! 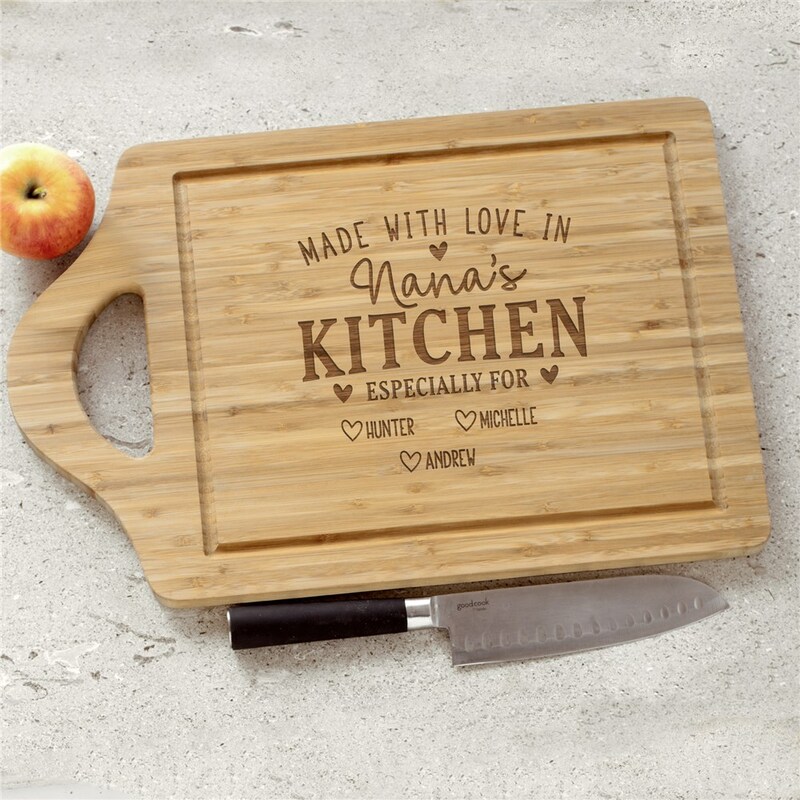 For the mother or grandmother who loves spending time in the kitchen whipping up delicious concoctions for her family, this engraved cutting board can be put to good use. Personalize your cutting board with the names of who she loves cooking for and the title she prefers (“Mom,” “Nana,” “Gramma,” etc.). This bamboo cutting board measures 7.25″ x 11″, but we also offer a 12″ x 18″ option for chefs who prefer a larger cutting surface. Grandmas who get to spend lots of time with their grandkids should definitely be able to catalog all the fun they have! 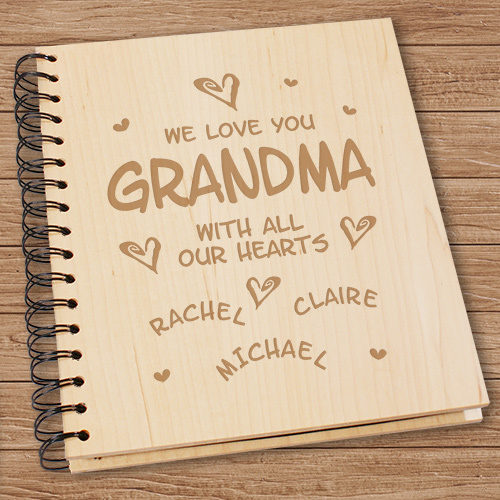 Our personalized wood photo album can hold up to 72 pictures of grandma having a blast with the little ones. Fill this book full of cherished memories that she’ll love to flip through again and again. 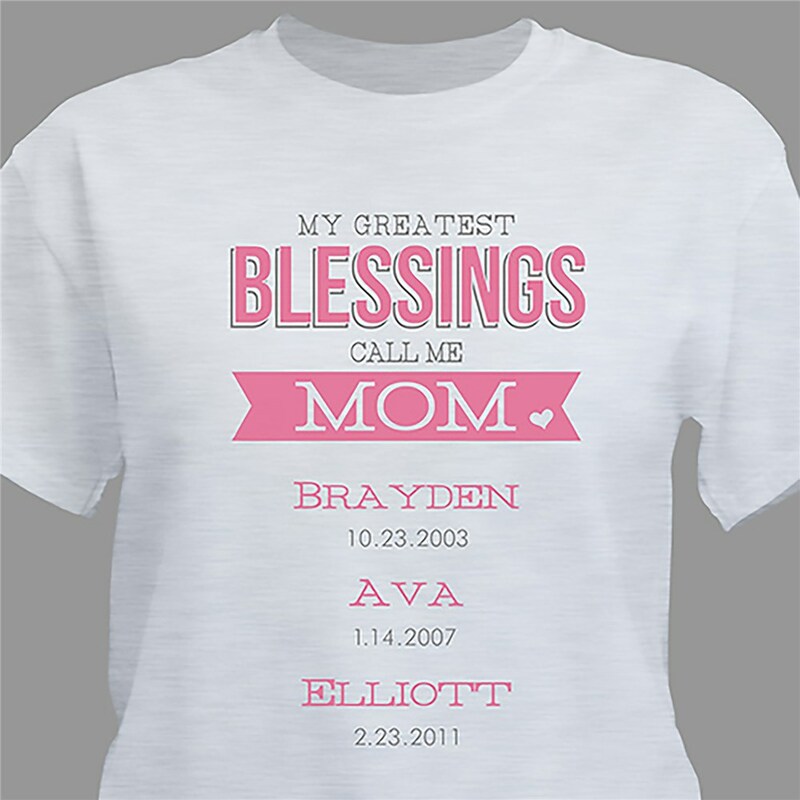 Give mom or grandma a cute way to show how proud she is of all of her kids or grandkids. As an extra touch, this unique shirt commemorates the days her blessings entered the world. This shirt is available in white, black, ash gray, charcoal gray, or pink. Show your mom how much of an impact she’s had on you! She’s performed many important duties throughout your life, from chef and chauffeur to nurse and friend. 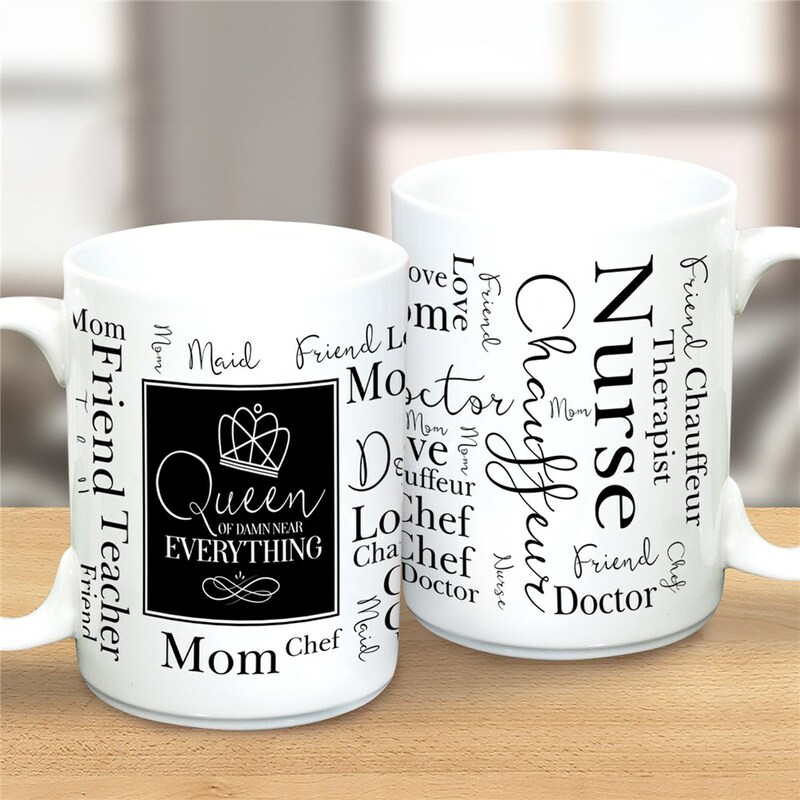 Using our Word-Art generator, personalize her mug to account for all of the important roles she’s played for you. 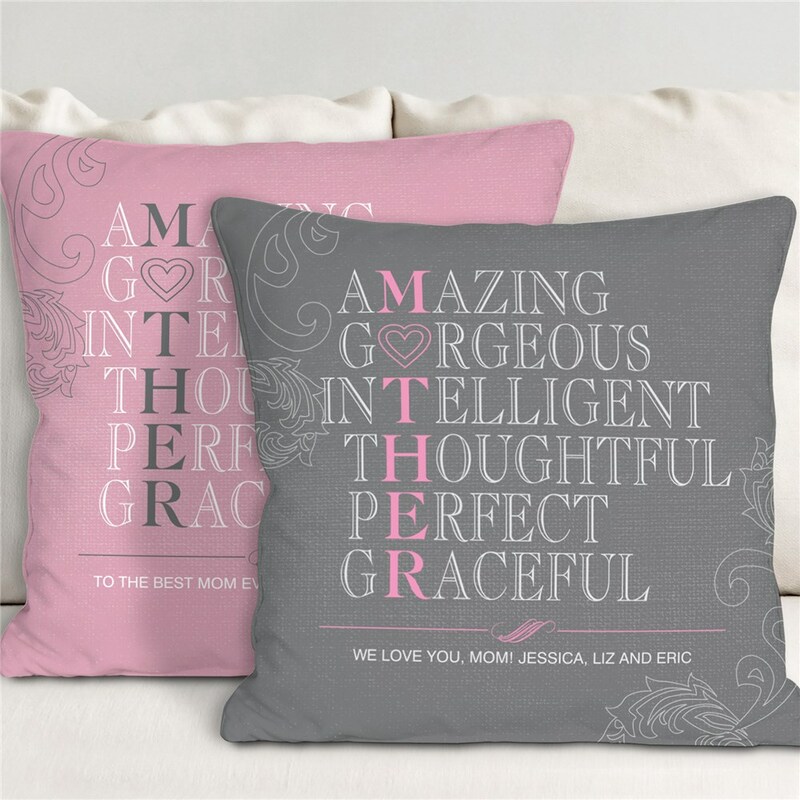 These comfortable throw pillows showcase some of the traits that make your mom so amazing. You can also add a custom message of your own toward the bottom of the pillow. She’ll be able to brighten up her living room or bedroom with these kind words for years to come! Choose from a pink or grey throw pillow. 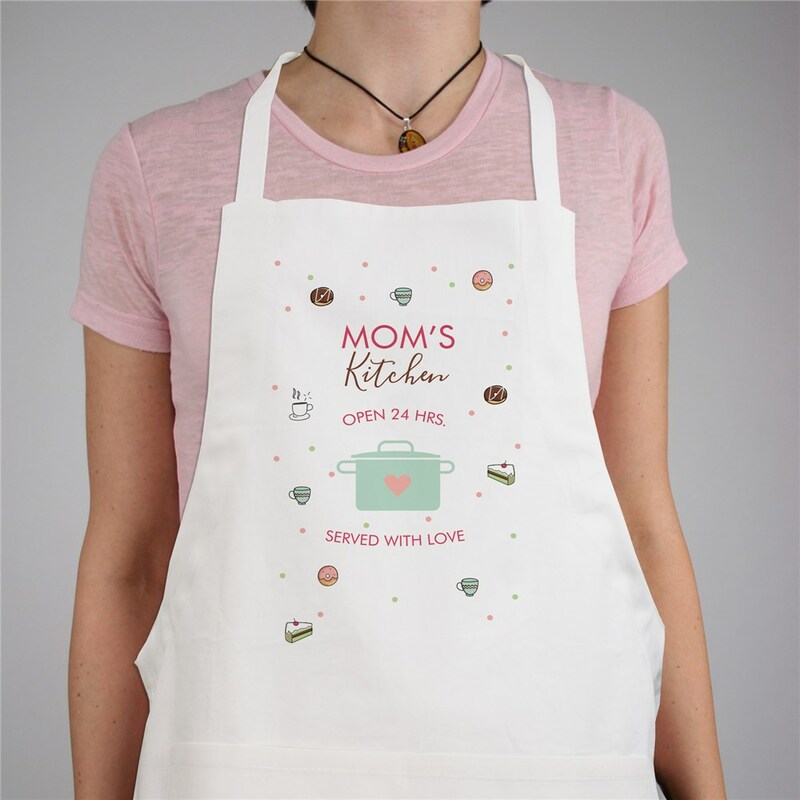 Give mom a gift that proves she has dominion over her kitchen. This full-length, machine-washable apron features multiple pockets as well as an adjustable neck strap. She can proudly sport this apron whenever friends and family are over for a meal. 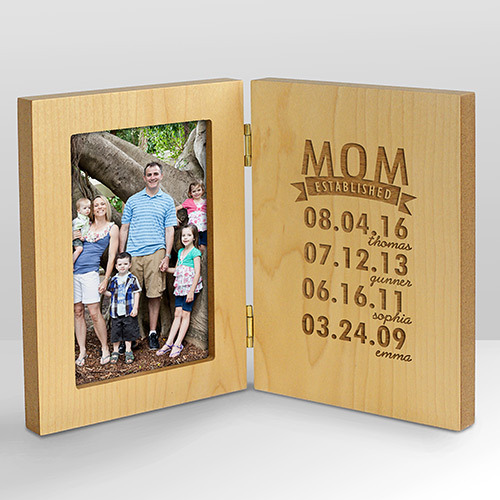 This delightful 4″ x 6″ picture frame will feature a favorite picture of mom and her family. What makes this natural-wood frame extra special is that you can personalize it with the names and birthdays of up to six kids. Happy Mother’s Day to all the moms out there! Know that you are appreciated for all that you do. 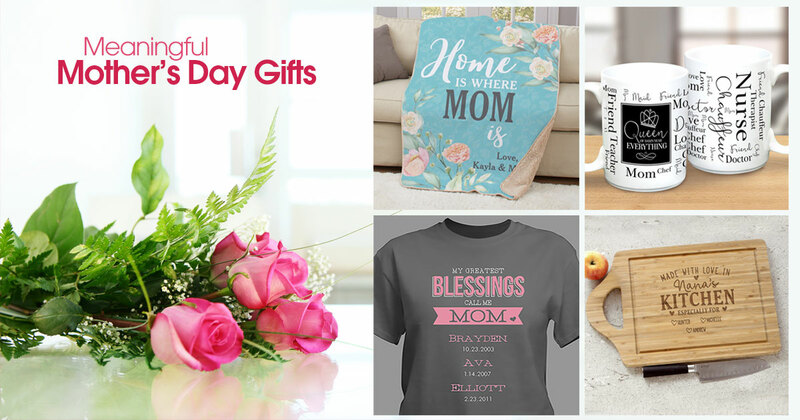 Looking to browse more of our unique gifts for mom or other personalized gifts for all occasions?